The West Coast premiere of a new interpretation of the Henry James Gothic classic, Strange Window: The Turn of the Screw--directed by acclaimed stage director and UC Santa Cruz theater arts professor Marianne Weems--will take place October 12-14 on campus at the Experimental Theater in the Theater Arts Center. Presented by the UC Santa Cruz Arts Division, in partnership with the Theater Arts Department, this new adaptation of the 1898 horror novella is a production by the New York-based and Obie Award-winning theater company, The Builders Association. Professor Weems, who joined the UC Santa Cruz arts faculty just last year, is the artistic director and co-founder of The Builders Association, where she has directed all of its productions since 1994. The company is an influential theatrical ensemble that has created a significant body of work at the cutting edge of integrating media with performance. 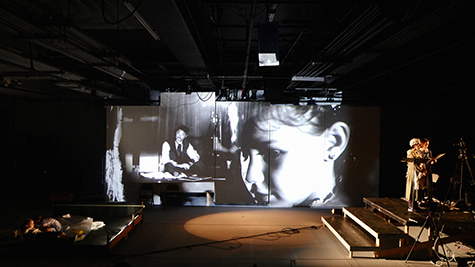 As UCSC theater arts professor Michael Chemers notes, "The Builders broke traditional artistic boundaries by including architects, media designers, software engineers, and visual artists, and pushing the boundaries of experimental theater. Since 1994, their 17 original productions have appeared in 80 major theatrical venues in every corner of the world, and they have consistently innovated with new technologies within the very old form of theater." 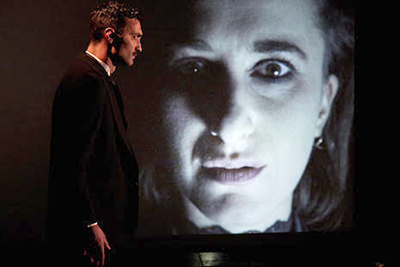 The UCSC performances of Strange Window: The Turn of the Screw offer Santa Cruz audiences a brief window to see this world-class production locally, before the same production moves on to its East Coast premiere at The Brooklyn Academy of Music (BAM), as part of the 2018 Next Wave Festival. "The Arts Division could not be more pleased to be collaborating with this prestigious consortium to bring this important work before the public," said UC Santa Cruz arts dean Susan Solt. 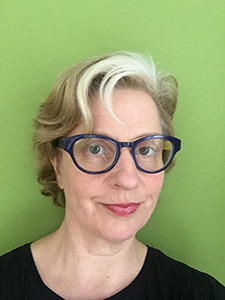 "We are delighted that in only one year as a member of the UC Santa Cruz theater arts faculty, Marianne Weems has merged her teaching practice with her professional practice as co-founder and artistic director of The Builders Association." "This is just the kind of intersection between artists supported in academia who are also artists out in the world that I am positioning to make a unique part of the UC Santa Cruz Arts Division with my signature initiative in creative entrepreneurship under the title ‘Artist 21,'" Solt added. James’s The Turn of the Screw was originally published as a weekly serial in Collier’s Weekly, and the novella has since been adapted in numerous ways for both the stage and the screen, perhaps most famously for the 1961 film, The Innocents. It’s a classic Gothic ghost story set in a remote English country manor. Strange Window: The Turn of the Screw is co-commissioned by BAM and The Krannert Center for the Performing Arts, University of Illinois at Urbana-Champaign, where it opened in September for its world premiere. The production is co-produced by the Arts Division of UC Santa Cruz, and 3LD Art & Technology. "It’s a great honor to have our West Coast premiere at UC Santa Cruz, and to be a part of the momentum that Dean Solt is building in the Arts Division," said Weems. "I am excited to expand the spectrum of theater available in Santa Cruz and the Bay Area, and think that seeing this old-fashioned ghost story told with our 21st-century tools will be a visceral and thought-provoking encounter." Tickets for the performances at UC Santa Cruz are available now at ucsctickets.com. The production opens on Friday, October 12 at 7:30 p.m., and continues on Saturday, October 13 with performances at 3 p.m. and 7:30 p.m. The final performance is on Sunday, October 14 at 3 p.m.